Lab Supply has a HUGE selection of toys for lab animals available at our store. We carry toys for rodents, canines, aquatics and reptiles, primates, rabbits, ferrets, and even pigs. 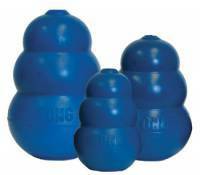 These toys are great for keeping lab animals entertained and mentally stimulated. We carry Kong Toys, bones, squeaky toys, rodent tunnels, wood gnawing sticks and many more products that your lab animals will absolutely love. We also carry specialty Kong Toys on a chain for primates. If you would like to see a full selection of the lab animal toys that we offer, then please click here to view our full selection. Here at Lab Supply, we are committed to making sure you find exactly what you are looking for. If you have any questions about these great lab animal toys, then please click here to visit our contact page. We will be more than happy to answer any questions you may have.